Euodynerus bidens (Mason Mimic Wasp) ♀. Size: approx. 15 mm. Photo: 04/14/18, noon. 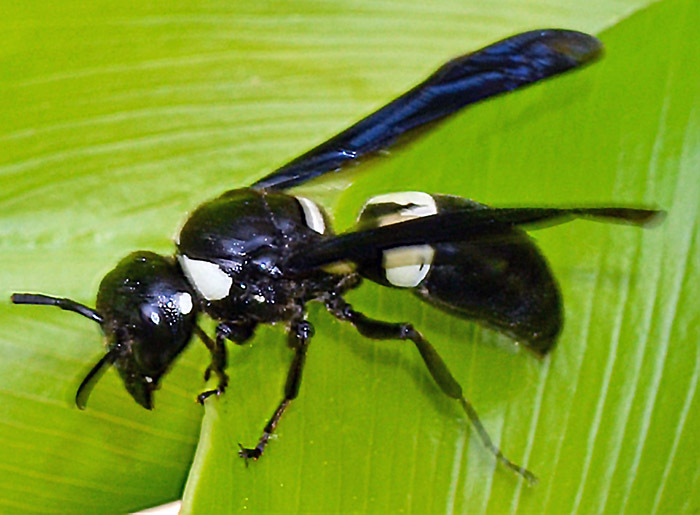 Very similar to the much more common true Mason Wasp (Monobia quadridens). 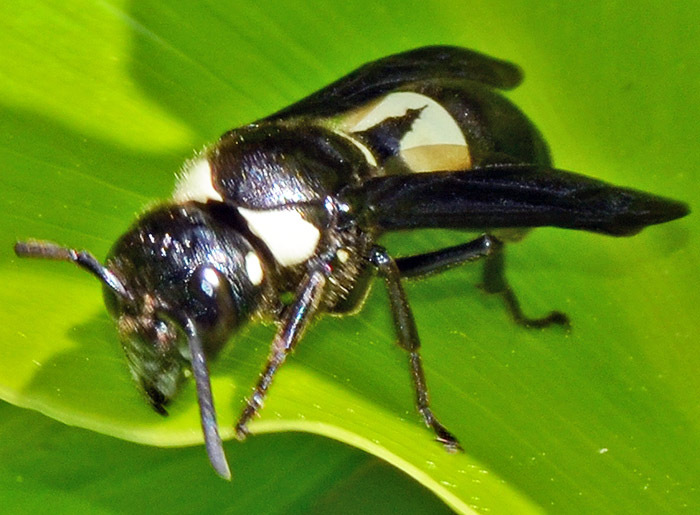 However, this species here has two large, white patches on the sides of the propodeum (the first abdominal segment), whereas Monobia has no or only a small spot. In addition, the white spots on the "temples" are distinctive too. Too bad that the photos didn't turn out better but it was a windy day and the wasp didn't give me much time.